Have any questions or concerns? We’re always ready to help! Send us an email at Audrey@apluscurves.com or simply submit a message below. Who do i know what size to order? 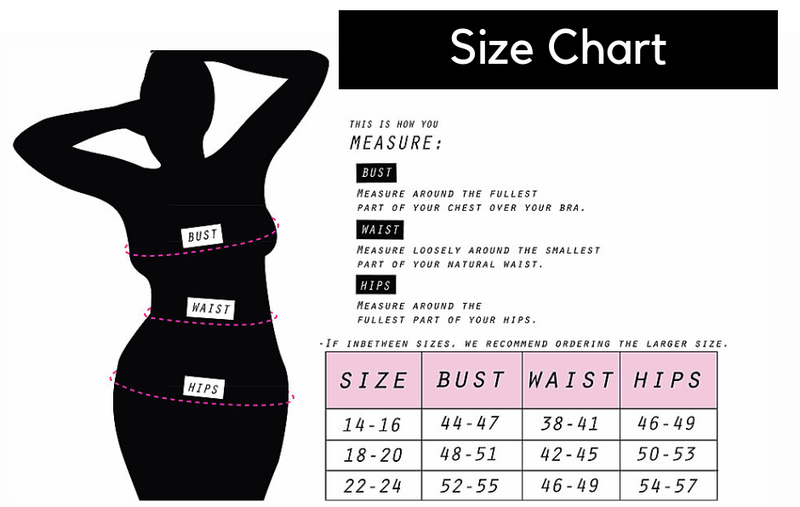 If you are unsure what size to order, please look at our sizing chart or feel free to contact us with any questions. As of right now, we are a very small company and some of our items are handmade. Please allow 7-10 business days for all items to be shipped out. Remember, we are making something just for you! all returns will be given store credit only. eligible returns will receive such store credit, good for 1 year from original purchase date. Eligible returns are for unworn garments only with all tags and labels attached, and must send notification within 7 days of purchase arrival date.